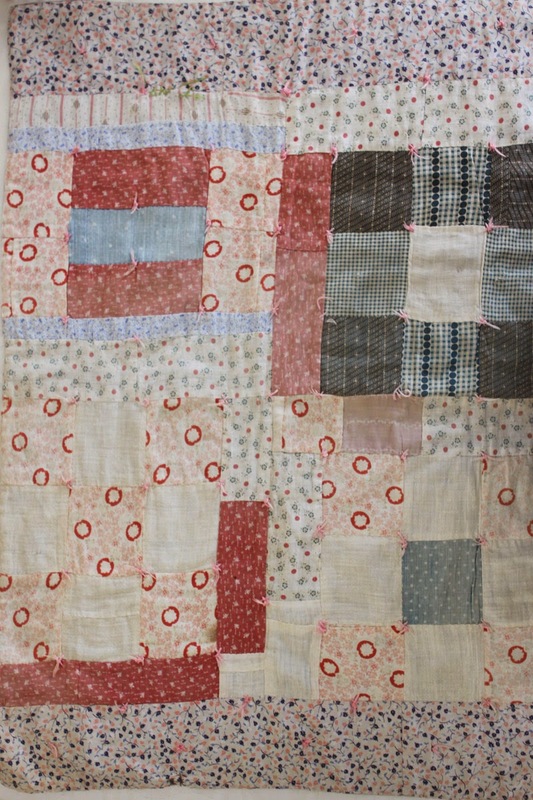 Today I decided to lay my little quilts and to take pictures to share them with you. This is the first one of the batch I received, and I think it is my favorite one because of its very naive look. I don't know, but it gives me the impression that it was done by a little girl with the scraps of her mother. I love those fabrics and the pink knots. 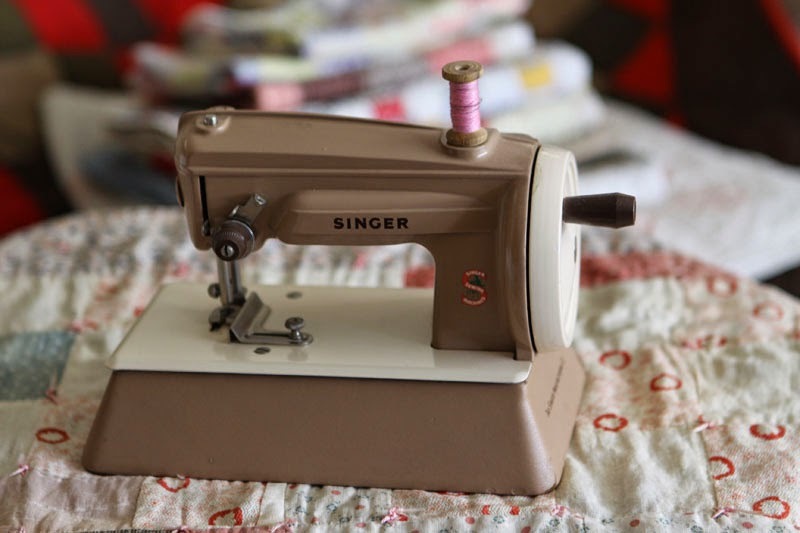 I decorated this corner of my room with a vintage child sewing machine presented on the doll quilt. 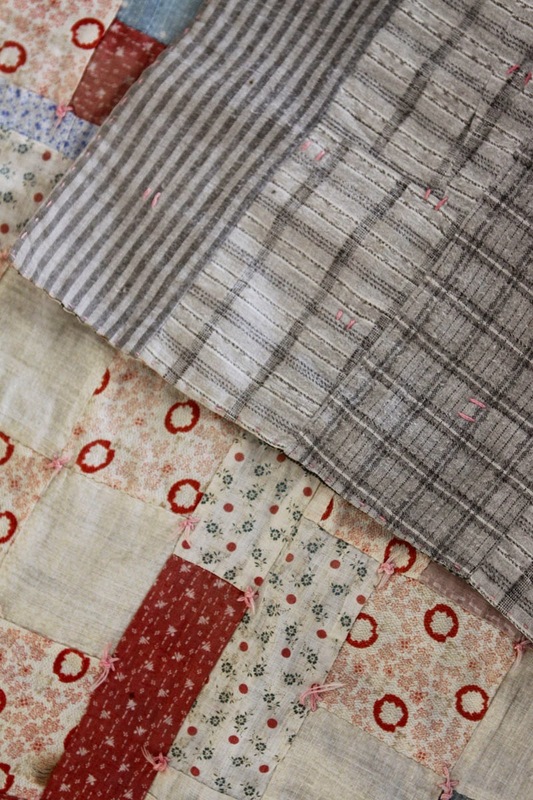 Here you can see more details and the backing in a lovely grey flannel. A magic world for little girls and their dolls...very cute ! I don't know how I missed this post last week!! But I agree....I can imagine a little girl se wing aside her mother...maybe even using a tiny machine of her own!! smiles! This is so my piece of cake. 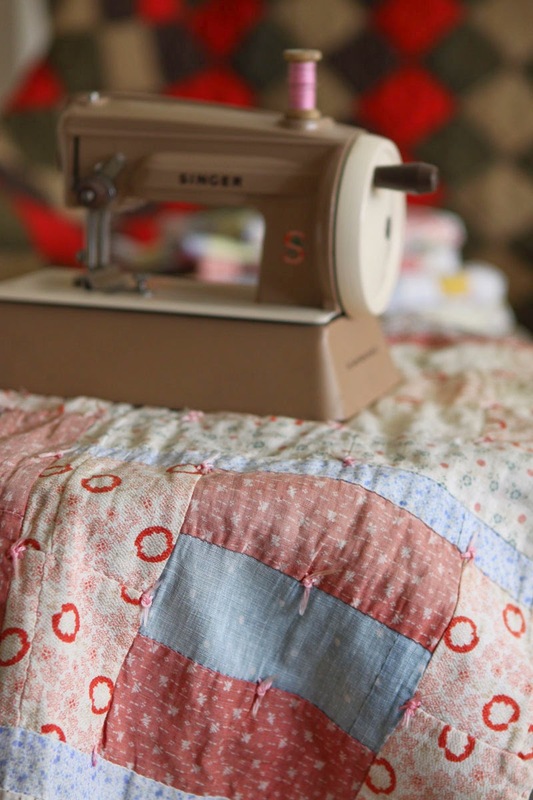 Beautiful doll quilt, inspiring colors and the pictures with the sewing machine are so lovely.